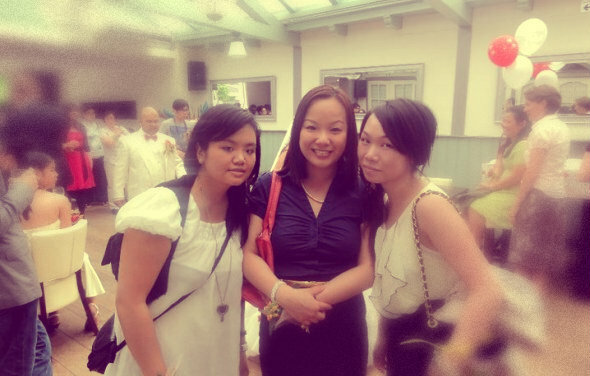 Peek into my life - Friend's Wedding | Memorable Days : Beauty Blog - Korean Beauty, European, American Product Reviews. 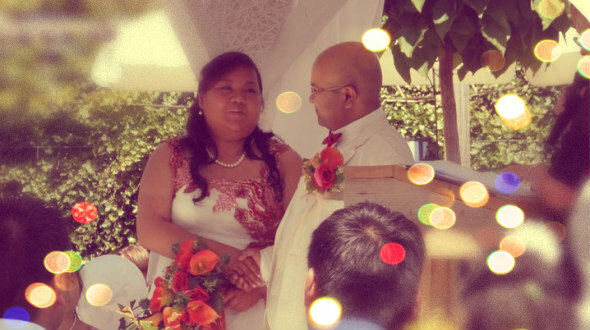 I went to my friend's wedding last week and it sure was a pretty wedding ^____^. I'm going to share a few pictures in this blogpost. I didn't take any pictures that day, but my friend did, so I stole a few pictures that she posted on facebook lol (Hope you don't mind Kary =p). It was a beautiful day, the sun was shining bright and it was 35 degrees outside, yes extremely hot! I missed their awesome entrance because I was late that day (because of the darn train!). 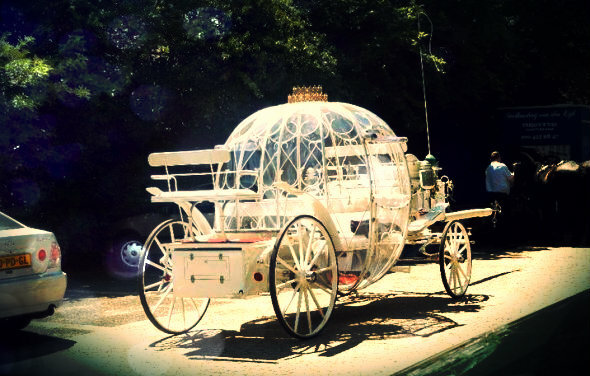 Anyways, my friend said that they came in a white carriage and showed this picture to me, so pretty ^___^, just like cinderella! There were two beautiful horses pulling the white cinderella carriage. It's such a pity that I missed their entrance x__x'. This is the bride and the groom, looking oh so happy together ^___^~ Because of the great weather, the ceremony took place outside. Always wear something neat to a wedding ^^. 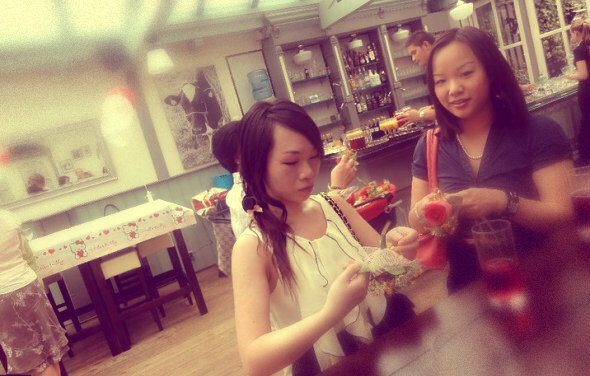 I was wearing a top from PRIMARK, a black skirt from G2000 and the bag is from a store in Shanghai. Btw. I don't know why I look so serious in this picture hahah. 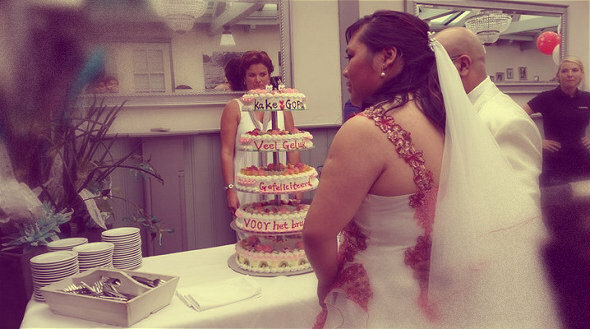 Time to cut the wedding cake ^__^! The cake was so colorful, fresh and delicious. 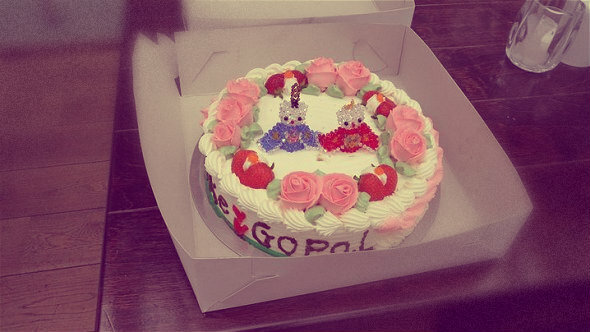 Can you see the cute roses on the cake? That's it :D! I also went to a Chinese restaurant to have dinner that day which was a part of the wedding, but unfortunately we didn't take any pictures there. Anyways, I hope you liked this blogpost where you could have a small peek into my life ♥. die taart is echt mooi zeg! :D Vooral met die hello kitty dingetje erop ;o.